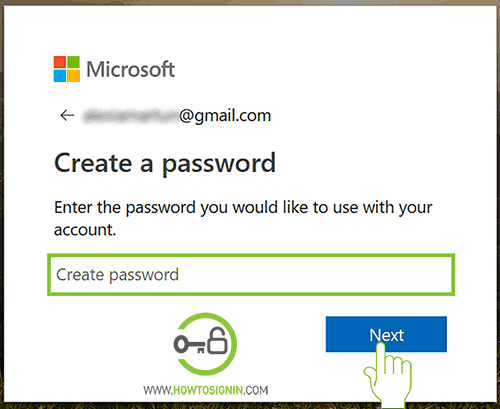 A Microsoft account is a single sign-in account with which you can access numerous Microsoft services, products, and devices. 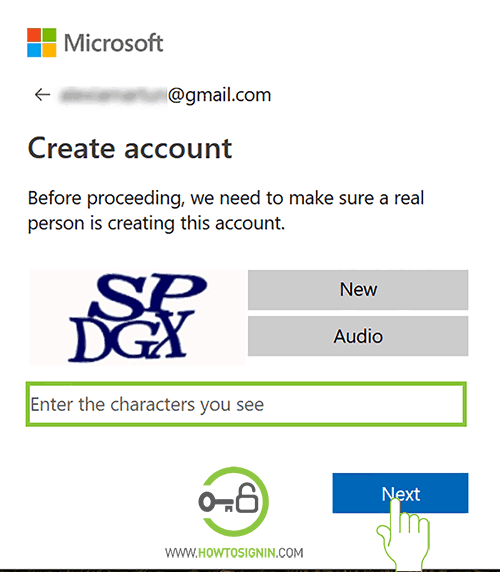 It’s the account you use to log in to Hotmail.com, Outlook.com, Windows device, Skype, Xbox LIVE, Office online, etc. 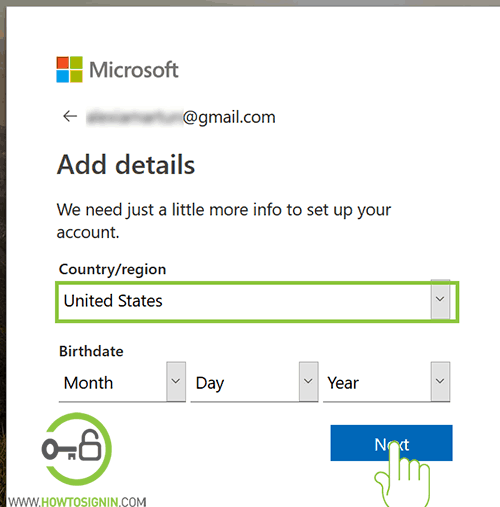 So if you are using Hotmail, Outlook, Skype, OneDrive, Microsoft Office, Xbox LIVE then you already have a Microsoft account, it’s the account you use to log in to before-mentioned services. 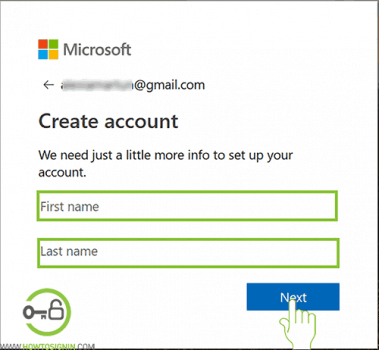 Once you complete Microsoft account sign up process, you don’t have to create a separate account for various Microsoft device and services. Outlook or Hotmail account sign up automatically creates Microsoft account, but it’s not necessary to be @hotmail.com, @live.com, @outlook.com. 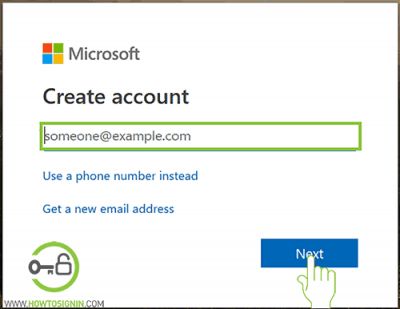 You can make a Microsoft account with Gmail, Yahoo Mail, or any email id. You can sign up for Microsoft account with existing email account like Gmail/Yahoo Mail, creating a new email address and with a phone number. Go to Microsoft.com in any browser you prefer. In the Sing-in page, click on “Create one!” which lies just below the field to enter the email address. 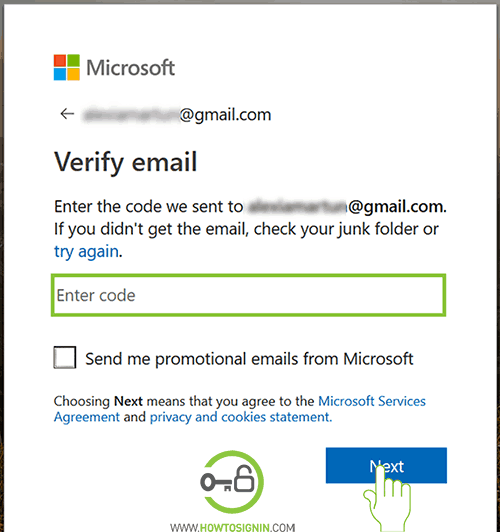 If you choose to create a new email, you have an option to choose either @outlook.com or @hotmail.com email. Create a new password that is strong enough so that no one could guess and simple enough for you to remember. Use the combination of upper and lower case, a numeric value and special characters (@#$%) while creating the password. You need to provide your first and last name. Select your country and date of birth from the drop-down menu. A security code will arrive in the inbox of the email address you’ve given. Get the code and verify email. 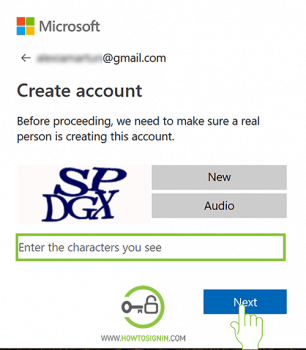 Microsoft may ask to enter the captcha code if you are login from inprivate/incognito mode. Cheers, your Microsoft account registration is complete. 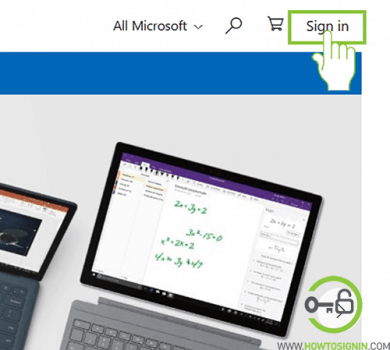 Now you can try using different services from Microsoft. 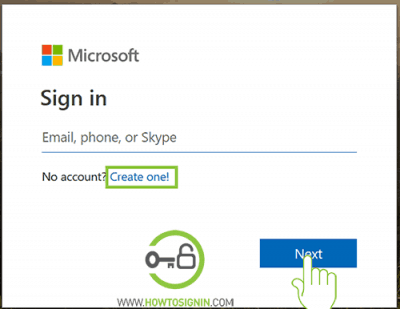 You can also sign up to Microsoft account using any services of Microsoft account like Skype, OneDrive and so on. All you need to do is go to the official site of the products like Outlook.com, Skype.com, etc. and then click on the Sign-in option that lies towards the top right corner of the page. After that click on “No account? Create one” or “Sign up” option depending upon the browser you are using or the product you are searching for. Thereafter you can follow the process from step 4 onwards. Purchase items from Microsoft store: You need to make a Microsoft account if you wish to purchase games, apps, music, movies etc from the store. Play games on Xbox Live: You’ve to register for Microsoft account to play games on Xbox live. Personalised Service: You’ll get personalized search result in Bing, selected recommendation in the Microsoft store. And with syncing, you’ll get same experience across the devices. Enhanced Security: Microsoft has world-class security, you can shop with them with certainty. They have enhanced privacy setting. Active cloud backup makes your account more secure. Bing Reward: You can earn reward while using Microsoft services. You can use those reward points to purchase items from Store or subscription.